It makes me sad to know that tigers are endangered species. 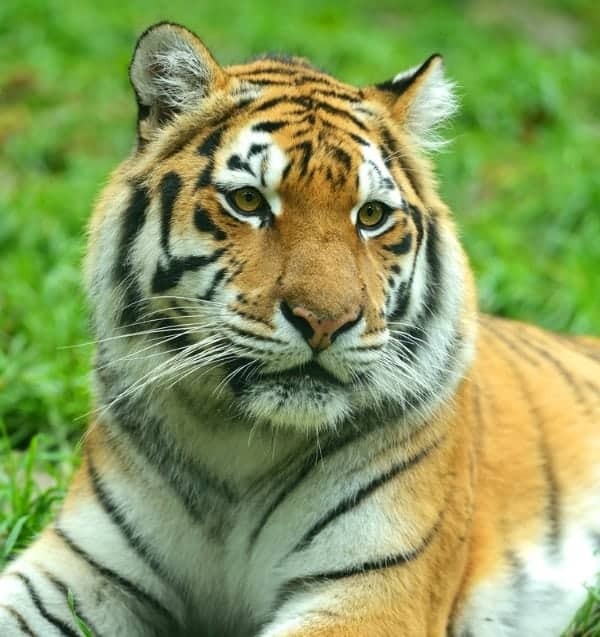 Did you know that there are fewer than 3,200 tigers left in the wild? These majestic creatures are close to extinction because of poaching. I would not want to live in a world without tigers. Thankfully, there’s charitable organizations like PANTHERA who are working in a partnership with Save the Tiger Fund to save the world’s remaining tigers. ROYALE has also teamed up with PANTHERA to help save the tigers. 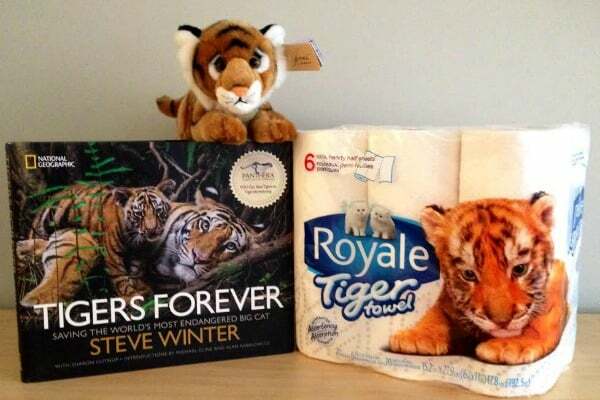 They’ve launched a new product, Tiger Towels, to help raise awareness in Canada for tiger conservation. ROYALE is donating $40,000 to the Save the Tiger Fund and will continue to raise awareness and raise funds through 2014. Tiger Towels are paper towels that are both strong and absorbent, but also soft. They are also die and fragrance free and are made with Thru-Air Dried (TAD) technology. They come in convenient half sheets to clean up smaller messes and can also be used on your big cleanups. I’ve shared my ongoing renovation projects and I’ve been on a massive cleaning spree. My Tiger Towels have been put to the test as I clean up after the renovation and get my rooms livable again. They’ve passed the clean-up test with flying colours! I love how well they absorb liquid and they are great for wiping down dirty surfaces. These are a good quality paper towel and I like the charitable message behind their inception. You can buy ROYALE Tiger Towels now at retailers across Canada and come in 6 or 12 roll packs as well as their mega roll pack. I would clean up the muddy footprints from my boys running in and out. I will clean the footprints from my kids running into the house . Our tiny Yorkie pup’s accidents! ooops! My cats wet foot prints or her hair balls. Yuck! I would clean up my dogs messes. I would clean up all the little finger prints and more then likely a big spill of juice or something! I would use these towels in the kitchen. I would clean up ktichen messes! Snowy Muddy boot prints! ARGH! Kitchen messes left by the Grandchildren! I would clean up the puddles left by kids walking into the house with snowy boots on. I will clean my dog’s mess. Definitely to clean my dogs’ paws. My two dogs always need to be wiped after coming back from the backyard or walks. Clean up the kitchen spills. Most likely spilled tea. Wups. Kitchen spills and also looks great for picking up bunny poop from our pet rabbit. I’m pretty messy in the kitchen and garage so it could be anything I will be cleaning up, but probably coffee! Definitely around the dog’s dish. Why do dog’s drag their food out of the dish and eat off the floor? The messes of spilled food that always seem to occur. I would use them to clean up one of my daughters spills! I would use it to clean all kinds of messes around the home, car and ity bity faces …..
Our little grandson likes to leave a trail of juice when he visits. Royale towels are a great way to clean up after him because I can rinse the paper towel and use it over again. Thank you for the super giveaway opportunity. Keep up the terrific blogging. I’d clean up the disaster zone left by my youngest son after every mealtime. My first spot to clean would be the bathroom, I never know how it gets so darn dirty.